Kevin Brownlow explores the life one of the giants of Hollywood film history. 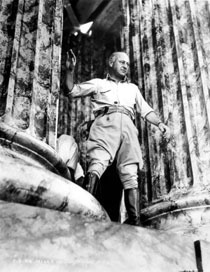 Cecil B DeMille, tyrant, visionary, highly successful filmmaker – a character larger than life who produced unforgettable epics which helped forge Hollywood mythology. This two-part documentary follows his entire career, shedding light on DeMille’s entire work, from his prolific contribution to silent cinema to the Technicolor sound epics he is most famous for.